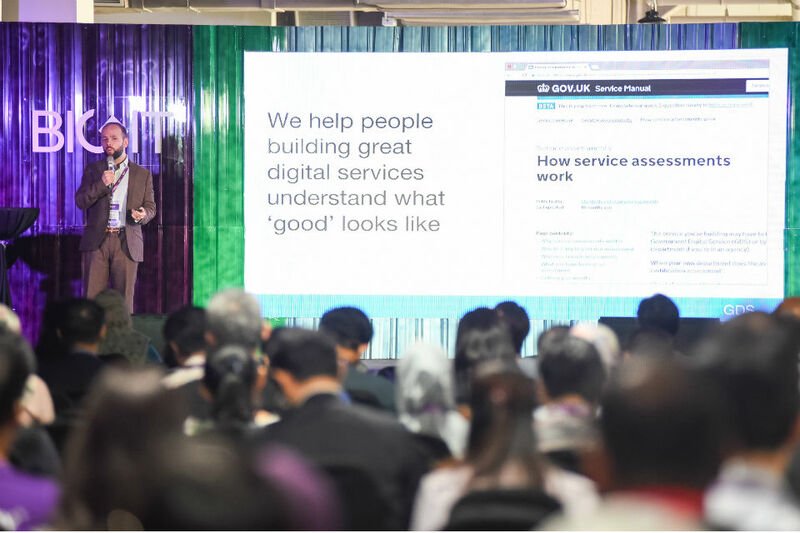 Last week, organisations and individuals across the country, including some of my colleagues from Government Digital Service (GDS) marked World Mental Health Day. For me, this was very timely as I have been thinking about mental health issues a lot lately. Last year, I was humbled by Rupert McNeil’s blog Why I 'declare', and why I’m getting a 'passport'. He highlights that being inclusive centres on celebrating ourselves as individuals and being "un-judged", irrespective of the context. 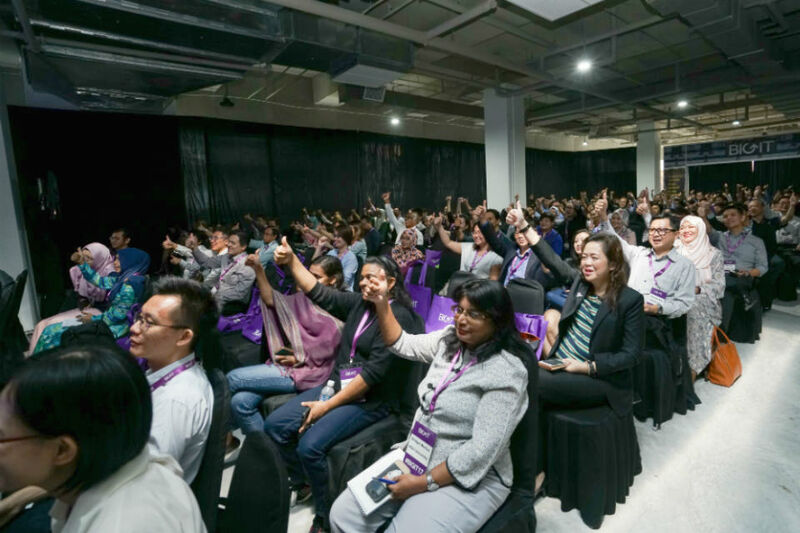 But it was only when, during a recent trip to Kuala Lumpur, Malaysia, I had to deliver a speech at short notice that I reflected seriously on how invisible disabilities need to be accepted in the workplace. I have been living my whole life with a perceived disability. Although it does not manifest itself physically, it is actually one of my biggest inspirations and motivators to challenge myself and grow, such as running for the incredible ‘401 challenge’ last year. It does, however, affect me mentally. I have spent too long letting this happen. I suffer from anxiety, mostly when it comes to public speaking. I lose sleep, sometimes many nights in advance. That sensation of overwhelming panic takes hold and it feels as though my heart is going to cave in. I had not made the connection between the physical and the mental, assuming I would be judged when giving speeches on who I am, rather than the content. There are many emotions that resonate with Charlotte Jee’s points in her blog “we all need to talk more about mental health”. I thought I would take a leaf out of her book, helping with my journey by speaking about this openly. A former colleague, Sarbjit, implanted some useful tips. Firstly, he taught me a breathing technique, used by percussionists to regulate their timing, but which helps me to focus and project my rather introvert, softly spoken voice. More importantly, Sarbjit showed me that most people are genuinely more interested in listening to what I say, rather than analysing the person conveying the message. I continued building on this with a personal coach provided by the Civil Service. They highlighted visualisation techniques to help me make myself more comfortable with the venue I was speaking in, and anything that could cause me to trip (worse case, falling off stage) and manage my own expectations. These tips haven’t made me a super confident or brilliant speaker, but they do help to regulate my perspective on the occasion, including my own emotions before, during and after. Back to my speech, and the venue where I was preparing to deliver a presentation to a conference with 200 people from a different government and country. I re-wrote my sticky notes many times - almost eating some in anger whilst writing this blog. I wanted to throw myself at this opportunity because I felt that one way to beat your fears is to jump in and give it a go. As we say at GDS: fail fast, fail often - though I hoped that on this occasion I would do neither. I thought my anxiety would hold me back. I also thought I couldn’t run long distances, to raise money for charity. But last year I ran 26 miles in the 401 challenge. I thought I couldn't present. But last month I gave a presentation to 200 people. The first I was aware of well in advance and prepared for; the second, which was sprung on me that morning, I did not have time to prepare for but still delivered. What I’m trying to say is that everyone is an individual on their own path. And we should never allow our perception of ourselves or our abilities to become a mental barrier, stopping us from doing or achieving anything in our lives. If I can do it, I’m pretty sure plenty of others can. In terms of feedback, I hope the photograph below says it all about how I did. And remember, done is always better than perfect. If you’re affected by any of the issues I've raised in this post, please know that you are not alone – it’s OK to ask for help. You can call the Civil Service support line on 0800 169 0344. And there is the Cross-Government Mental Health Network, contactable at: cross-government-mental-health-network@digital.cabinet-office.gov.uk. You can call the Samaritans, any time of day or night, on 116 123 or email them. Thank you for sharing this and well done on making a speech to so many people! I think more people than we think experience anxiety when speaking in public. This article is really resonating me. Both the overwhelming panic you talk about when speaking in public, and the sense of achievement you get from long distance running. I too am a marathoner, although you wouldn't guess it to look at me, and am running my second one next weekend. I would be really interested to find out more about the breathing technique you mention. Maybe it would help in both areas. Thank you for sharing your story. Thank you for "confessing", I am sure it will resonate with many and undoubtedly help a proportion of them. And, well done on your presentation thumbs up! I have saved "done is better than perfect" to my store of helpful quotes. Thank you Chad for sharing your personal challenge. I too find it difficult to speak openly and so I attended at internal training training seeking to improve my presentation skills. I do recall once being told by a colleague who found it difficult to give presentations that to overcome this he enrolled into drama classes. He found that it helped him to build up his self confidence and also taught him strategies that he was later able to use at promotion interviews as well as. As Chad's testimony reveals, "invisible" mental health conditions can have a paralysing effect on people's lives, so always good to hear that progress is being made in the Civil Service. It will seem remarkable to many to read of the practical support Chad received in being supported with a personal coach provided by the Civil Service. Unfortunately though, many people working in the Civil Service do not get the positive support experienced by Chad. I wonder how many on the lowest grades and income are deemed valuable enough to receive this kind of investment to ensure they can stay in work and achieve their fullest potential? As even today's news reports, the statistics are merciless. Hundreds of thousands of people with mental health conditions being forced to leave their jobs (double the rate of people without such conditions). While the individual success of Chad and others demonstrate that a positive shift in recognising and supporting mental health and other diversity is taking place within the culture of Civil Service. For many the progress is too slow or too late and it is vital therefore that old, regressive and unsustainable attitudes to mental health and diversity, within the Civil Service, are challenged wherever and whenever they arise. One problem now is that there is no longer the option for the line manager to 'support' an absence. This means many people with mental health problems who might need to take the occasional day off sick will end up on a performance improvement process for going over the number of sick days they are allowed to take. This will place many people under a lot of stress and exacerbate their condition. This can't be right when the CS says it wants to support people with mental health problems. Can this be addressed? I appreciate what this article it trying to achieve, I really do, but it does seem to blur the line between natural human nerves and serious anxiety disorders which 'could' be considered an 'invisable disability', but are often VERY apparent to anyone paying attention. Advice and some memorable quotes don't take away the agony of being pushed outside your comfort zone when you have an anxiety issue. I apologise if the positivity and strength of your writing have disguised the severity of your suffering, but I struggle to see how you could possibly have reached a position where you are required to make speeches abroad with an anxiety issue of any serious degree. Chad - many thanks for sharing this experience, I suspect it would not have been easy to do so. I give quite a few presentations and the challenges you have faced resonate with me despite probably having had a longer career in which to practice giving talks. Thanks for the tips. I shall put "done is better than perfect" alongside a phrase I keep reminding myself of "don't let the perfect be the enemy of the good". As a civil service mental health professional I would like to say that whilst there are lots of techniques to overcome anxiety including Cognitive Behavioural Therapy, Neuro-linguistic Programming, medication, visualisation and breathing techniques, there is something valuable about being able to accept that we are all different and it's OK to be yourself. I am, I suppose what might be called a high achiever. I have suffered with anxiety around presenting all of my life (from school to work) and had a variety of treatments. I can present now, but recognise I still feel sick, do not sleep well in the build up to a presentation, do not like it and never will. I have learned to acknowledge all the strengths I bring to my relationships, work life (role and relationships) and personal life. I do not have to excel at everything and I am a good enough person and efficient member of staff so it's OK to be less comfortable or less 'fluent' in some areas of what I do. Great if all the techniques and 'mood making' help - please don't beat yourself up if they don't! We are all different and all add to the teams we work in in different ways. I have never met anyone professionally or socially who excels at everything and who does not have some anxiety about something! I actually let out a little laugh when I read your article!! Like you, I also suffer from anxiety, and recognized a lot of the symptoms you described. I recently had to present the 'Talking Points' at our team meeting, and found myself suffering from sleepless nights. My first thought on waking was 'Strategy'! Not a pleasant way to wake! And I found myself reviewing, and rewriting my notes obsessively! In the end,I'd even scripted my ad hoc comments, I decided at that point, to take a deep breath, and stop! In the end, I kept to the script, and apart from forgetting the names of several team members, it went well, and I received some positive feedback. It's not something I'll be volunteering for on a regular basis, but I know that if there's no-one else, I can do it!! I have fallen off a stage when doing a presentation. It got a good laugh. So, something you perceive as a disaster may prove anything but. I have a degree in theology from before I started working for DWP and when we had to deliver sermons/talks to groups one thing that initially I found very offputting is that people in the audience/congregation don't actually look like they're paying attention! This is one thing that we can all do when we are listening to a speaker is try and make eye contact and smile when appropriate-it really does reassure the speaker that there is someone out there listening.